I love poppadoms so I always have one (5 Syns) with the cucumber and onion mix (free) that most places do, you can also have some of the other dips but they're obviously synned; Mango Chutney is 2 Syns per tbsp, Raita Dip is 1 Syn per tbsp and Lime Pickle is 1.5 Syns per tbsp. You could also have a Chicken Tikka starter which is pieces of chicken marinated in tikka spices served with salad, I would maybe count a couple of Syns for any oil that might be on it but that is probably what you should go for if you're trying to keep Syns as low as possible. Things to stay away from are Onion Bhajis and Samosas for obvious reasons; they're deep fried and they're flour based which increases the calorie/syn content. I also wouldn't go for a kebab that wasn't 'proper' meat, by that I mean things like Sheek kebabs as you have no idea of the fat content of the meat. If you think you have to have a dry dish to stay within Syns then you'd be wrong; if curry is your thing then you can have a guilt free Lamb/Chicken Rogan Josh (average portion 550g 10 syns) or a Chicken Dhansak (average portion 550g 10.5 syns) with boiled rice (free). If you are wanting a close to syn free option then Chicken Shashlik is a nice choice (chicken tikka pieces with cooked tomatoes, onions and peppers) or a Chicken Tikka Main (just don't have any of the curry sauce that comes with it). 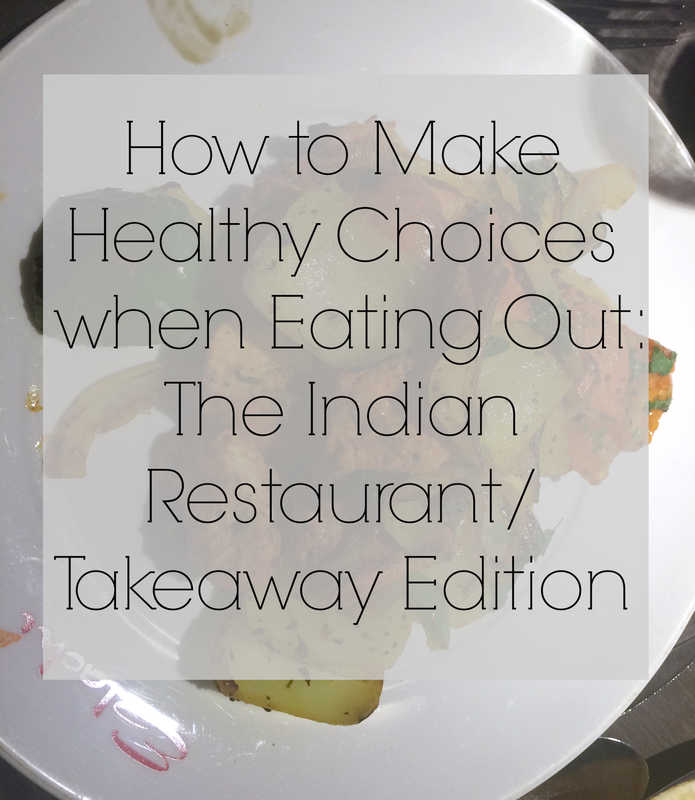 Things to avoid would be naan breads, cream based dishes and obviously chips. Indian restaurants aren't exactly famous for their desserts are they (aside from the cool little ice creams which come shaped like a penguin or a bird) so I won't say much on this front other than fill up on your starter and main! What's your favourite Indian Meal?